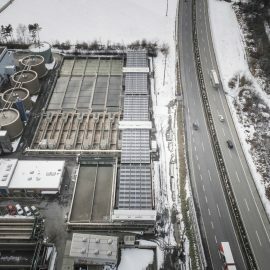 Since September 7, 2017, an innovative solar roof of the public utility “IBC Energie Wasser Chur” has supplied the municipal sewage treatment plant with renewable energy. HORIZON is a movable light weight construction system which can be folded and is based on ropeway technology. The modules can be retracted automatically and thus are best protected against storm, snow and hail. After a long time between planning and making it a reality, the inauguration on September 7, 2017 was a very special moment for us. 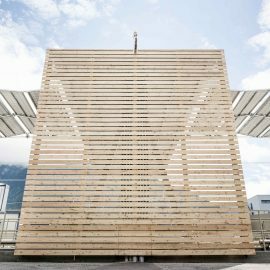 The foldable solar roof is worth 1,6 Mio. € and will have a power of 640 kWp after its completion. 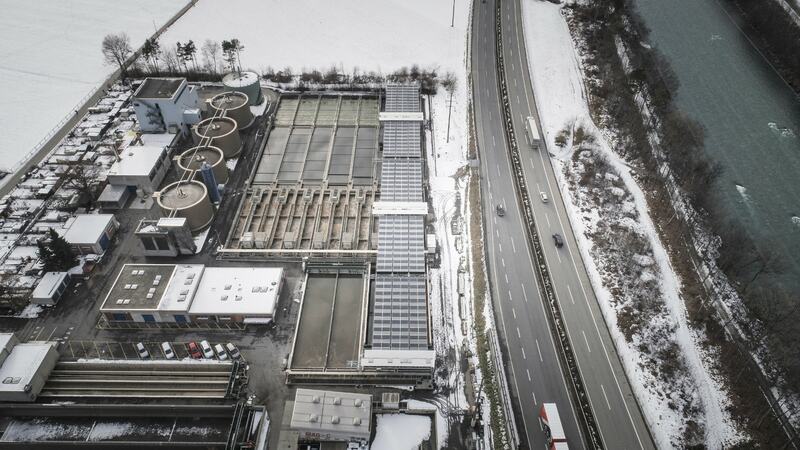 It will cover about 20 % of the total energy demand of the treatment plant. 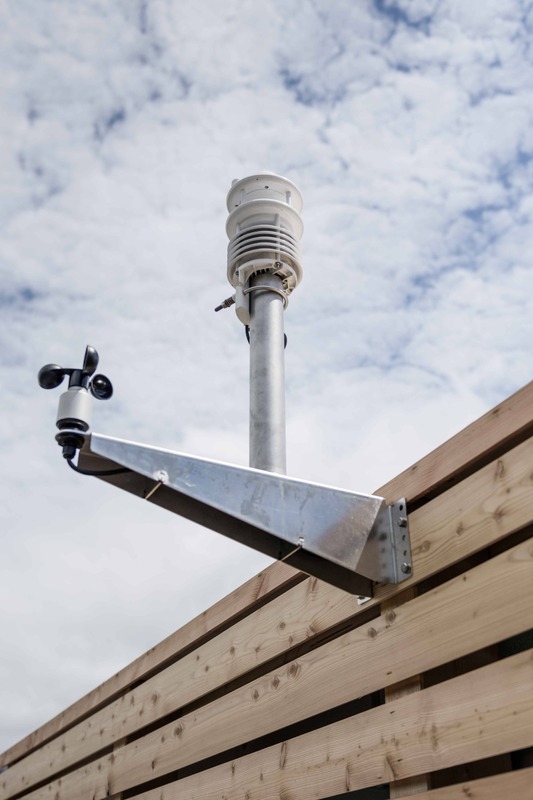 The meteorological algorithms included in the controller evaluate the measured data collected by a Lufft WS800 All-in-One Wettersensor permanently. 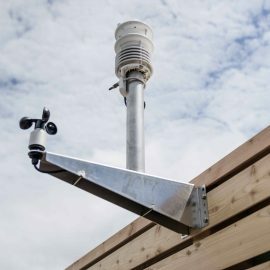 The weather sensor measures all relevant environmental data simultaneously. These include especially global radiation, temperature, wind speed, wind direction, precipitation types and intensities as well as relative humidity but also lightning. 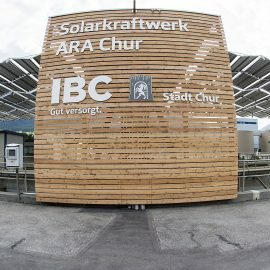 This information outlines an important component for the safe and optimum operation of the foldable solar roof “HORIZON”. 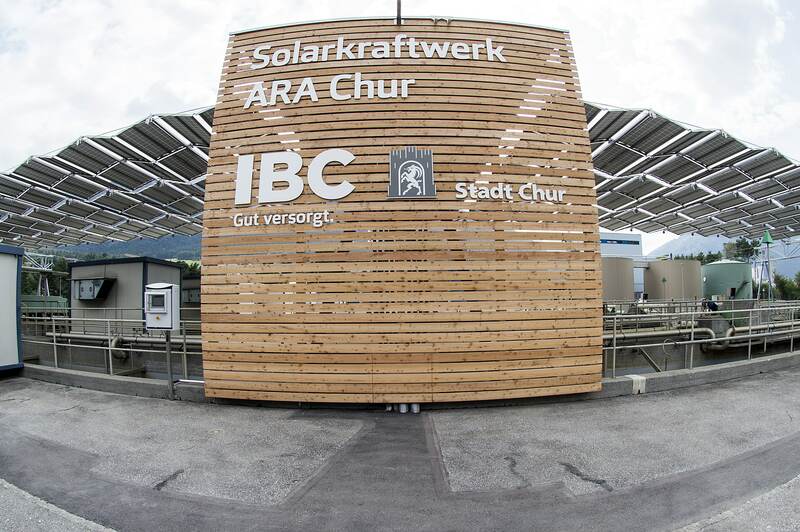 A basic unit of the solar roof is 55 meters long and 17 meters wide. Both the breadth and length can be extended almost arbitrarily to reach an optimum area exploitation. By means of different materials, forms and colors, architects are able to design the support structure and facade individually and thus achieve an optimum integration even in populated areas. 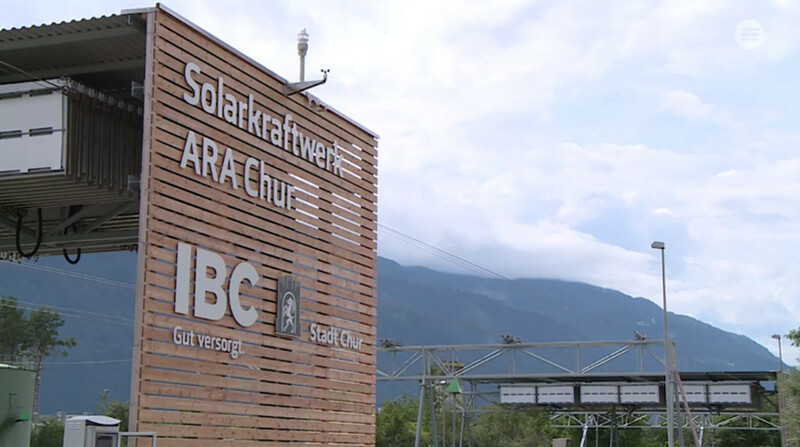 Thereby, HORIZON shapes the term infrastructure-integrated photovoltaics. You would like to know more about it? Contact us, we gladly assist you. 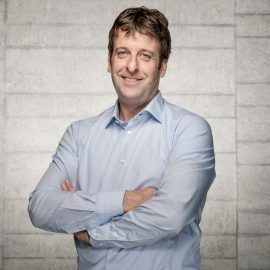 Andreas Hügli, Managing Partner of dhp technology AG. 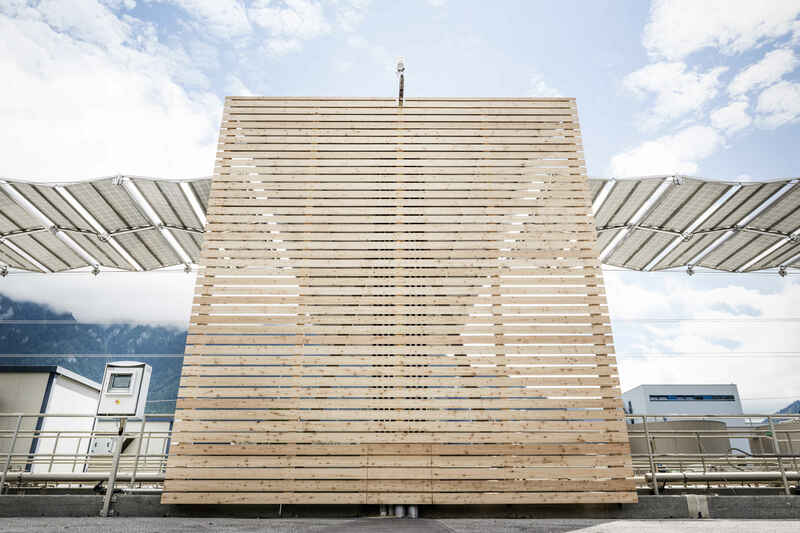 As a Swiss start-up, we plan and implement sustainable, decentralized power supply projects with the self-developed and -produced foldable solar roof HORIZON.